Experienced American Brandon Brown (201-PF-85) put on an extraordinary performance in the last round for KCC Egis and that's him to receive a Interperformances Player of the Week award for round 28. The 33-year old power forward had a double-double of 36 points and twenty one rebounds, while his team beat DB Promy (#6, 18-19) 98-92. 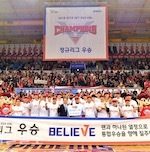 Thanks to this victory KCC Egis moved-up to the 5th position in South Korean KBL. KCC Egis is a typical solid league team placed somewhere in the middle or a little bit lower in the standings. They need more victories to improve their 19-18 record. In the team's last game Brown had a remarkable 55.0% from 2-point range. He turned to be KCC Egis' top player in his first season with the team. Brandon Brown averages this season 24.9ppg and 12.8rpg. Worth to mention Brown played also at Eurobasket Summer League, which helped him get the job in pro basketball. The second most remarkable performance in last round's games was 29-year old American forward Ricardo Ratliffe (203-F-89) of league's best team Mobis Phoebus. Ratliffe impressed basketball fans with a double-double of 33 points and 13 rebounds. 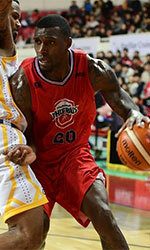 It was enough for Mobis Phoebus to edge the lower-ranked SK Knights (#9, 11-26) by 1 point 86-85. Of course Mobis Phoebus still keep the league's top spot. His team has currently 29-9 record. Ratliffe is a newcomer at Mobis Phoebus and it seems he did not have too much trouble to become one of team's leaders. 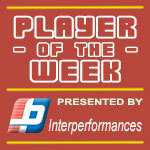 The third best performed player last round was American Leon Williams (203-C/F-86) of DB Promy (#6). Williams scored 24 points and grabbed sixteen rebounds (!!!). Despite Williams' great performance DB Promy lost 92-98 to slightly higher-ranked KCC Egis (#5, 19-18). But his team cannot count on just a single player as he also needs help of the other teammates. The chances of DB Promy ranking at the top of the league, however are very questionable as they have already lost 19 games, recording just eighteen victories. With bigger assistance of his teammates, Williams could help DB Promy to bring them higher in the standings. Williams has a very solid season. In 23 games in South Korea he scored 17.7ppg. He also has 13.9rpg and FGP: 59.7%.